"No winter last forever, no spring skips its turn." The new Spring / Summer 2019 Collection from Moonchild has arrived! 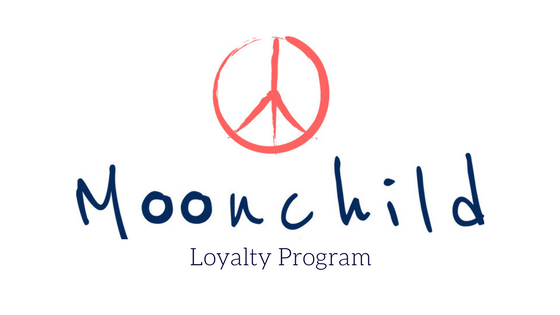 Explore all our lovely new tops, leggings, hot yoga shorts and yoga mats from Moonchild Yoga Wear. Stretch, bend, and perfect your practice in a pair of Moonchild Lux Shorts. These yoga shorts fit like a second skin with supreme softness and gentle compression. With a comfortable fit and paneled high waist, you don’t ever have to worry about your shorts shifting or riding up. The ultra-soft material is made with the perfect blend of performance fabrics in a seamless knit design. Effective moisture-wicking and fast-drying properties are perfect for cardio workouts, hot yoga, and Bikram yoga. Both color options are adorned with a subtle Moonchild peace logo on the back.